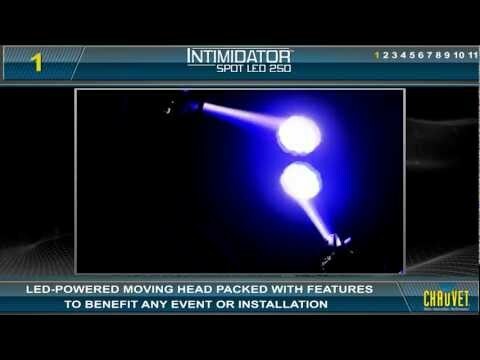 Considering purchasing the Chauvet Intimidator Spot LED 250? Have questions? Ask people who've recently bought one. Do you own the Chauvet Intimidator Spot LED 250? Why not write a review based on your experience with it. This makes a perfect lightshow!!! The heads are very quick moving and they are also bright and punchy. Highly recommend this for mobile DJ's and Band's!! The only flaw is the price though!! LED WOW! Who would have thought LEDs would be so bright, compared to other bulbed fixtures we use, this one is amazing! Chauvet really do know how to make a great moving head! 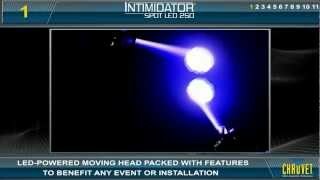 Seen a video for Chauvet Intimidator Spot LED 250 online or have you own video? Check out Chauvet Intimidator Spot LED 250 on DJkit.com!